Expansion of the head size of the wedge resulted to hit much easier than the previous models. BERES W106. A larger moment of inertia and a wilder sweet spot reducing loss of distance from missed shots. The head size was designed slightly bigger than the traditional model. Large head size gives easiness and comfort at address. The sweet area is wide, the moment of inertia was also expanded to reduce distance lost and keep the directionalities stable even at miss shots. Making the back face slightly thinner in parts creates excess weight, with a face size designed slightly larger than before. The surplus weight was produced by thinning the thickness of the wall from the back face, and this surplus weight allows to design the face sizeslightly bigger and made easier to hit. 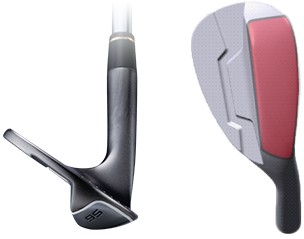 The part which was made thinner is not the hitting point, therefore, the influence does not affect hitting feeling nor spin performance. Therefore, the influence does not affact hitting feeling nor spin performace. Round edge adapts to shots from almost any lie. 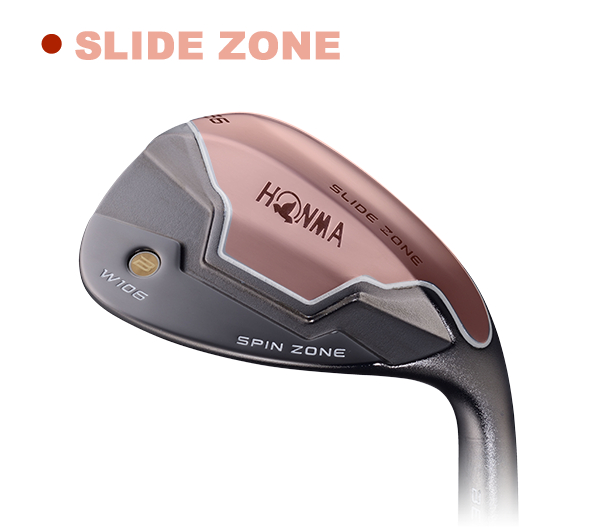 With an appropriate off-set, this wedge is easy to pick up the ball at any state of lie, and by adopting the round edge shape, to hit high trajectory ball was also made easy. 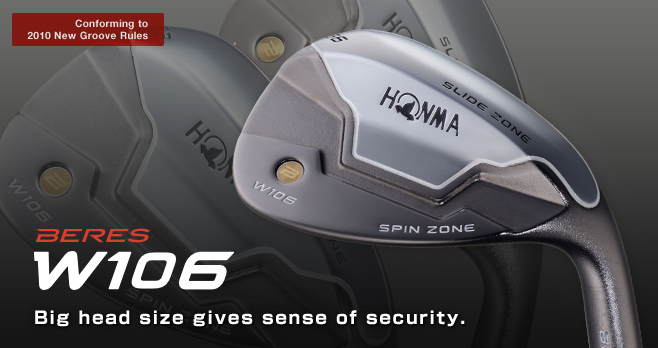 The blade shape design that wraps around the ball, creating a sense of security and a desired shot line. 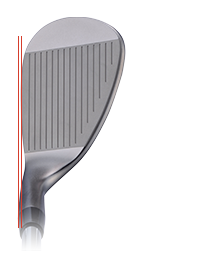 The wide sole shape design to facilitate swing-through which can reduce miss shots. 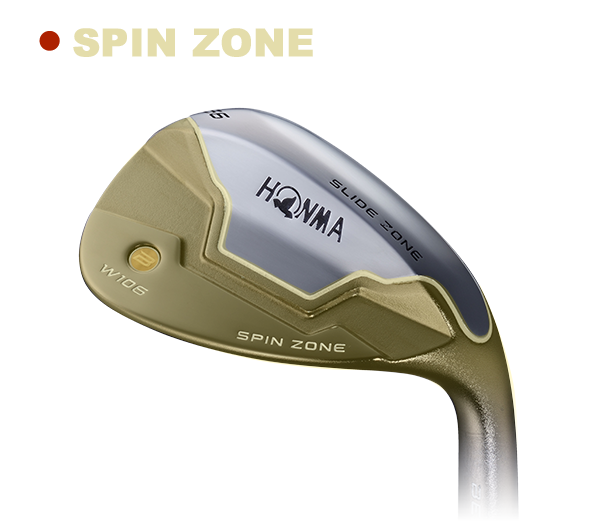 Proprietary nickel finish with a high friction coefficient enables maximum spin off the face. Entire face CNC machined to provide a more precise degree of flatness. 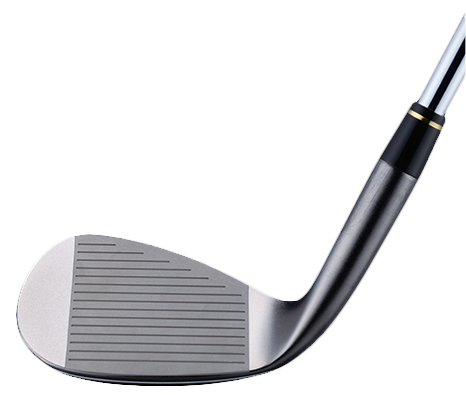 The sole face, which is in contact with grass and sand, uses a tougher nickel-chrome finish with a low friction coefficient. The sole has a clean-cutting shape which slips easily under the ball from any lie, a design that delivers advanced spin performance. ※Data is a maker official announcement value.